Chapter 1: Why Are so many Christians bad at friendship? Friendship matters. It's a felt need for every single person. But as I've written previously, it's a topic shrouded in a little mystery. If the previous post was on why it's worth dialoguing about friendship, this post aims to detail what friendship is in terms of its nature and makeup. This is in no way a comprehensive treatment on the subject, but I hope it will provide a little more clarity and more importantly, compel us to more deeply consider what it means to have friends and to be one for others. So with that being said, here are 3 difficult realities of friendship. Stand-up comedian Chris Rock once mused on friendship on an HBO special where he described how few friends he had. He cleverly sets up his punchline by saying, "I ain't have six friends in high school. I don't got six friends now!" Though intentionally self-deprecating, I think his premise is accurate: Friendship is rare. And if we think we have a ton of friends, maybe it's because our definition of friendship is diluted. Friendship is in reality a taller order than meets the eye. Tim Keller writes, “Friendship is only possible when there is a common vision and passion...." Keller is saying that friendships all across the board - between non-Christians or mix, demand this preservation of a "common vision and passion." What about friendship between two Christians? I've always felt uncomfortable with his definition of friendship because of its implications: Spiritual friendship is not all about my personal preferences. There are superseding issues at play. The point of unity in spiritual friendship is ultimately the gospel, not necessarily a hobby. The purpose in direction of spiritual friendship is God's glory, not just my comfort. The particularity in trait is one of giving, namely self-giving sacrifice, and not what I receive. Friendship points us beyond ourselves. I initially questioned these ideas until I found all three elements to be present in Jonathan's friendship with David (1 Sam. 18:1-4) and Jesus' friendship with his disciples (John 15:12-15). The bar of friendship is higher than we think and the pool of friends, smaller than we want to believe. Reality #2: Friendships Don't always feel good. If you've ever seen "The Lord of the Rings" (LOTR) trilogy, I have a theory as to why so many people love the books/films. I'm not one of those LOTR geeks. I have no affinity for hobbits, but the story masterfully captures the virtue of friendship. The best character in the movie is arguably, a hobbit named Sam. He helps carry Frodo's (main protagonist) burden of "The Ring." Their friendship is messy and confrontational with lots of hurt, yelling, crying, and awkward moments through which they not only save Middle Earth, but are themselves changed in the process for the better. This is why I think people cry when watching LOTR. The film paints a rugged and real picture of a friendship that awakens us to our longing for such a companionship. But when it comes to friendships in reality, we'd prefer not to shed tears and deal with its beautiful ugliness. Don't people prefer to choose their friends on the basis of comfort and try to color their friendships with convenience? Even acts like confrontation and truth telling are seen a bit negatively rather than as responsibilities of a good friend. It's all about "accepting each other for who we are" as if who we are presently should be who we always ought to be. And I wonder if what we lose in the process is not only relational depth (intimacy) but also a real process for friends challenging and changing each other for the better (partnership). Maybe I should've gone with the iron sharpening imagery. See if a "friend" only makes us feel good all the time, shouldn't that be alarming? A friend is sometimes a refuge, but other times a refinery. It just depends on the circumstances. Friendships should sometimes make us uncomfortable. Reality #3: Friendships require OUr efforts. Why do churches recommend marriage counseling and offer parenting seminars? It's because of the assumption that these relationships require continued fostering and hence, the need for resources and growth opportunities. Interestingly, I think many of us remove this assumption when it comes to friendship. We believe friendship just kind of happens (passivity), or worse, we believe it should just happen (passive entitlement). There's a challenging section in Holmes' book where he lists various characterizations of friendship. A few of these markers are candor (honesty), carefulness (timeliness), and counsel-giving (wisdom dispensing). 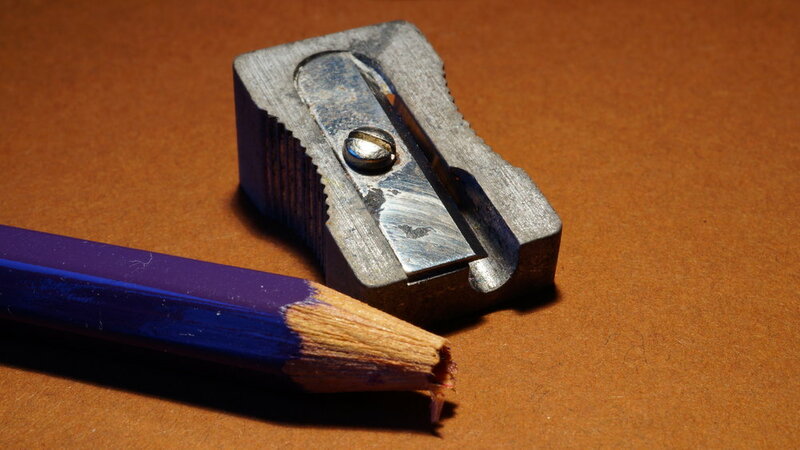 These markers are descriptors, which requires symmetrical prescriptive action. Holmes didn't list them to merely exist theoretically but assumes they're welcomed actionable items. Friendships are marked by candor because friends are honest with each other. And all those markers require a certain degree of thought and trust that's developed through time, energy, and effort. I don't mean to illegitimize friends who can't spend as much time together due to geographical distance. Friends in the midst of transitioning life-stages who can "pick up right where they left off" in the rare chance they meet together is a testament of their enduring friendship. I'm just contending that friendship is embodied in, well, bodies. Friendship is real human beings taking actual time to talk to each other and laugh together, and not a mere well-wishing of others in disembodied theories of friendship. I confess I have the tendency to view "friend" simply as a noun, when it should also be a verb. "Friend" is far easier said as a noun but far better lived as a verb. If you feel a little overwhelmed, you're not alone. Friendship isn't easy. But maybe nothing of value is supposed to be easy. Friendship points us outwards. It points us to others beyond us, which can only be done as we sit in the presence of Jesus, who demonstrated for us what it means to be a friend in laying down his own life. Friendship pushes others God-ward. We can be "God signage" for our friends in the way we sit with them in sadness, and in the ways we provoke them away from self-centeredness, pointing them toward Jesus. Friendship paints a redemptive story for the world. It shows the world that things like commitment and love are real. It shows the world that the diverse can truly unite and that forgiveness can be really powerful. It invites a search for meaning and relationship in a lonely world. 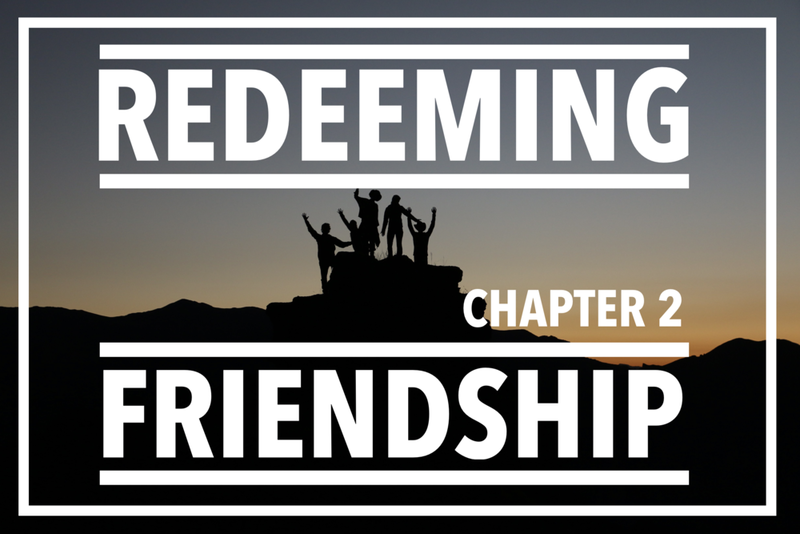 In part 3, I'll share some thoughts on the life cycle of friendship. How is a friendship born? Is there a right way to make friends? Should friendships die out? Is that okay? Stay tuned. Older PostWhy Are So Many Christians Bad at Friendship?